The 6 links the South coast's biggest city with the main towns of the millennium-old New Forest. It's operated by Go Ahead's Bluestar are runs every hour Mon-Sat daytimes and every 2 hours on Sunday daytimes. 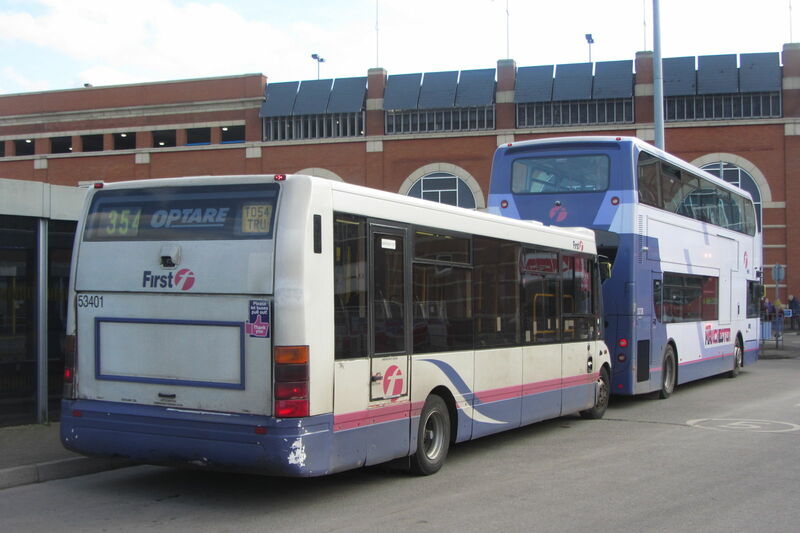 See more bus routes in the South East here. See more routes in the South West here. On the parade of shops in the background of that picture is the well regarded Herb Pot Bistro, just next to the Post Office. Why not drop in for a bite to eat? See the New Forest's official tourist website to discover all there is to see and do in the region. Here in Lyndhurst, pop into the New Forest Centre to find out all about the National Park. If you fancy lunch in Brockenhurst, then why not give Bistro 26 on Lyndhurst Road a go? If you plan to have an evening meal here, don't forget there is no evening service on the 6, so you'll need to catch the train home. See the full timetable on Bluestar's website. Bluestar publish some sample single fares for each of their routes. While not covering all possible journeys, they do give you a good idea of how much a single or return ticket will cost. An adult single from Southampton to Lymington is £6. The cheapest day ticket that is valid for travel throughout route 6 is the Network Dayrider at £7.20, which is valid across the full Bluestar network and also on Unilink buses in Southampton. It also acts as a day return price cap ticket for most journeys on the 6. If you're planning to travel further afield, using buses operated by More, Salisbury Reds or Damory (all of them also owned by Go Ahead) as well as Bluestar and Unilink, then you need the Explorer ticket at £8.50. Plusbus Southampton is only valid as far as Redbridge Roundabout, making it not much use on the 6. You can also catch ferries to Hythe or the Isle of Wight. From Lymington, you can connect with More X1/X2 towards Christchurch and Bournemouth or you can catch a ferry to Yarmouth on the Isle of Wight. See Hampshire County Council's full public transport map and their New Forest travel guide here. The only real alternative to the 6 is the train. South West Trains provide the local rail service. Passengers for Lymington will need to change at Brockenhurst. See the timetable for the Lymington line here and for the main line between Brockenhurst and Southampton Central here. An adult single ticket between Southampton Central and Lymington Town is £8.20, an off-peak day return (travel after 0845 weekdays, anytime weekends) is £8.40. Check other train fares here. For news updates on bus routes of all operators in the Greater Southampton region, including the 6, see our sister blog, Southampton Bus Update. See more great bus routes in the South East here and the South West here. It should be pointed out that although marketed as Bluestar all journeys are operated by Wilts and Dorset(More) from their at present bus station in Lymington. It should be pointed out that if you have any query of any sort with the service,Bluestar at Eastleigh will inform you to contact them at Lymington.